Cooler temperatures appear to be on the way, but in the meantime Park City Mountain Resort has delayed opening day from November 18th to November 26th. 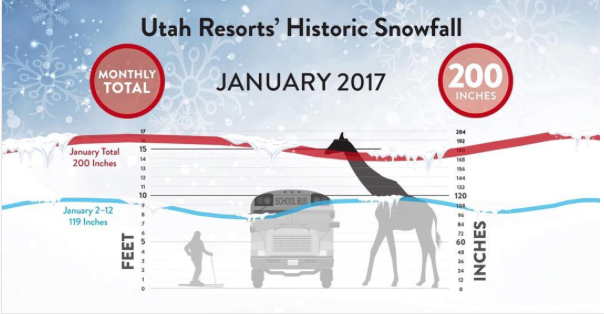 According to the Fox 13 report, during the 2008-2009 winter season when opening day was also rescheduled, snow accumulation at the Jupiter stake surpassed the average height. Click here to read the full article. Posted in Miscellaneous, Local News, Lifestyle and Recreation, Mountain conditions, Canyons | 0 Responses to "PCMR To Open November 26"
Two competing bills in Congress are setting up a new skirmish in Utah regarding the SkiLink between Canyons and Solitude resorts. The May 27th edition of The New York Times discusses this perennial battle between conservation and development. Posted in Miscellaneous, Local News | 0 Responses to "SkiLink versus Wasatch Wilderness and Watershed Protection Act"
A resolution promoting some sort of system to link Salt Lake Countys four ski resorts and a trio around Park City cleared its first legislative hurdle February 27th. The Senate Workforce Services and Community and Economic Development Committee voted 4-2 on partisan lines for SCR10, sponsored by Sen. Wayne Niederhauser, R-Sandy. However, according to Mike Gorrell in the Salt Lake Tribune on Saturday, SkiLink has now become a divisive issue for the candidates running for Mayor in Salt Lake County. Its a divisive topic being duked out at the federal, state and local levels. Congress is considering a bill aimed at establishing a so-called SkiLink between resorts in Salt Lake County (Solitude) and Summit County (Canyons), while the Legislature is weighing a resolution supporting a system interconnecting all four Salt Lake resorts with the three in Summit County. The county itself is reworking its Foothills and Canyons Overlay Zone (FCOZ) ordinance governing the types of activities, summer and winter, that resorts may develop. In general, the four GOP candidates for mayor are more supportive of these efforts advancing ski industry commercial interests than the two Democrats looking to succeed Mayor Peter Corroon. But all added caveats to their positions. The Democrats acknowledged the value of being good partners to a ski industry vital to the countys economy while the Republicans said new developments must be environmentally sensitive. interconnection of the seven Salt Lake County and Summit County ski resorts. County and Summit County to enhance the ski and snowboard resort industrys contribution to Utahs economy, jobs, and tax base; urges interconnection of the Salt Lake County and Summit County ski resorts using best environmental practices; supports thorough consideration of multiple uses in the Wasatch Mountains in the evaluation of resort interconnections; urges meaningful and balanced public involvement in any associated planning and decision-making processes regarding resort interconnections; and supports a comprehensive set of solutions to transportation problems in the Wasatch Mountains, including short term and long term alternatives, potential year-round utilization and support of Utah's vibrant human-powered outdoor recreation. WHEREAS, tourism is one of Utah's major "export industries" that sells services or products to destination visitors and brings money into the state to support our local economy and provide jobs for current and future Utahns; WHEREAS, over 20 million people visited the state of Utah in 2010, spending over $6.5 billion, or 5.5% of Utah's gross domestic product, contributing over $840 million in state and local taxes, and sustaining as much as 10% of the jobs in the state; WHEREAS, the ski and snowboard industry is a major contributor to Utah's tourism industry, contributing over $1.2 billion to the state's economy as a result of over 4 million skier days, and growth in the ski and snowboard industry will bring additional spending, revenue, and jobs to the state; WHEREAS, tourists who ski or snowboard in Utah spend money on lift tickets,equipment rentals, hotels, restaurants, car rentals, and other matters, and this money circulates through the economy, supporting over 20,000 local jobs; WHEREAS, the seven ski resorts in Summit County and Salt Lake County are all located in close proximity to one another, offering the opportunity to connect these resorts, an opportunity that leading competing winter tourism states do not have; WHEREAS, connecting the ski resorts in Summit County and Salt Lake County will create a skiing experience unavailable anywhere else in North America and reposition Utah's ski and snowboard experience to be even more competitive and attractive relative to other states, leading to increased tourist visitation and spending, which will in turn lead to an increase in revenue and jobs; WHEREAS, it is recognized that Big and Little Cottonwood Canyons are critical watersheds from which more than 500,000 Utah residents, businesses, and visitors throughout Salt Lake County receive their drinking water, and that best management practices would be required in any potential resort connections; WHEREAS, the balance of multiple uses in the Wasatch Mountains, includingdeveloped recreation, such as skiing and picnicking, and dispersed recreation, such as hiking, mountain biking, and back country skiing, are highly valued by residents, visitors, and businesses in Utah and contribute significantly to the state's economy and quality of life; WHEREAS, the roads to ski areas in Summit County and Salt Lake County are congested during certain times of the year, and studies should be conducted by numerous federal, state, local, and private sector entities to comprehensively evaluate alternatives to solve transportation problems; WHEREAS, connecting the ski resorts in Summit County and Salt Lake County will improve access to the ski resorts and allow the unique opportunity of skiing at multiple resortsin a single day; WHEREAS, connecting the ski resorts in Summit County and Salt Lake County is an issue of state concern because the connection will cross county boundaries, have a tremendously positive impact on the state economy, and may contribute positively to state roadways and airsheds; WHEREAS, connecting ski resorts will allow the winter sports industry to grow while making the most efficient and sustainable use of ski terrain, roads, facilities, and parking lots; WHEREAS, connecting the ski resorts in Summit County and Salt Lake County may require review and approval of permits by Summit County, Salt Lake County, Salt Lake City, Park City, the town of Alta, and the United States Forest Service; WHEREAS, the public will be engaged in meaningful and balanced ways in any potential decision-making processes regarding resort interconnections, and these processes will be open and transparent; WHEREAS, many skiers drive from Summit County to ski in the CottonwoodCanyons, or from one Cottonwood Canyon resort to ski in Summit County or at another Cottonwood Canyon resort, contributing to congestion on canyon roads; WHEREAS, connecting the ski resorts in Summit County and Salt Lake County will decrease traffic on congested canyon roads and lead to cleaner air and water by reducing automobile-related pollution, and provide emergency evacuation options for Big and Little Cottonwood canyons; WHEREAS, the 1988 Governor's Task Force on Interconnect concluded that interconnecting the Wasatch ski resorts "would provide a substantial boost to Utah's ski industry and have a positive influence on the state's economy"; and WHEREAS, the Wasatch Mountains Inter-Resort Transportation Study, completed by Mountainland Association of Governments in 1990, found that connecting the Wasatch resorts "hold[s] the promise of substantial public benefits in the form of reductions in automobile traffic on congested canyon roadways, watershed and environmental pollution abatement, increased slow-season occupancy of existing facilities, and the potential for future economic expansion"
NOW, THEREFORE, BE IT RESOLVED that the Legislature of the state of Utah, the Governor concurring therein, support connecting the seven ski resorts in Summit County and Salt Lake County with an inter-resort transportation system based on sound research and balanced public input, and careful evaluation of its impact on transportation, the economy, job creation, the environment, multiple uses, and visitor experience. BE IT FURTHER RESOLVED that the Legislature and Governor encourage Summit County, Salt Lake County, Salt Lake City, Park City, the town of Alta, and the United States Forest Service to fairly consider the benefits of connecting the various resorts and expeditiously approve a low-impact inter-resort transportation system based on appropriate analysis and balanced public input. BE IT FURTHER RESOLVED that a copy of this resolution be sent to the Summit County Council, the Summit County Manager, the mayor of Park City, the Park City Council, the Salt Lake County Council, the town of Alta, the Mayor of Salt Lake County, the Salt Lake City Council, the Mayor of Salt Lake City, the Chief of the National Forest Service, the Uinta-Wasatch-Cache National Forest Supervisor, the Speaker of the United States House of Representatives, the Majority Leader of the United States Senate, and all members of the Utah Congressional Delegation. Posted in Miscellaneous, Lifestyle and Recreation | 0 Responses to "SkiLink Becomes Hot Button Issue For Some"